I don’t claim to know that much about London. 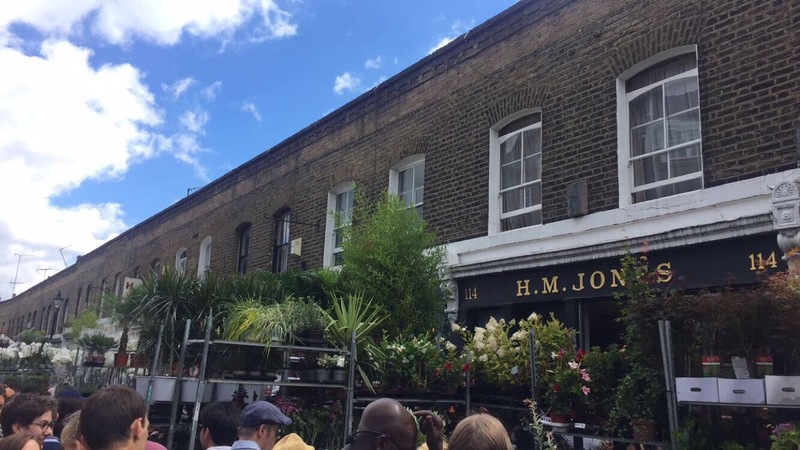 I really don’t, and so when it comes to finding new places to explore, I love recommendations from seasoned Londoners. This time around, my source was my aunt Jane! 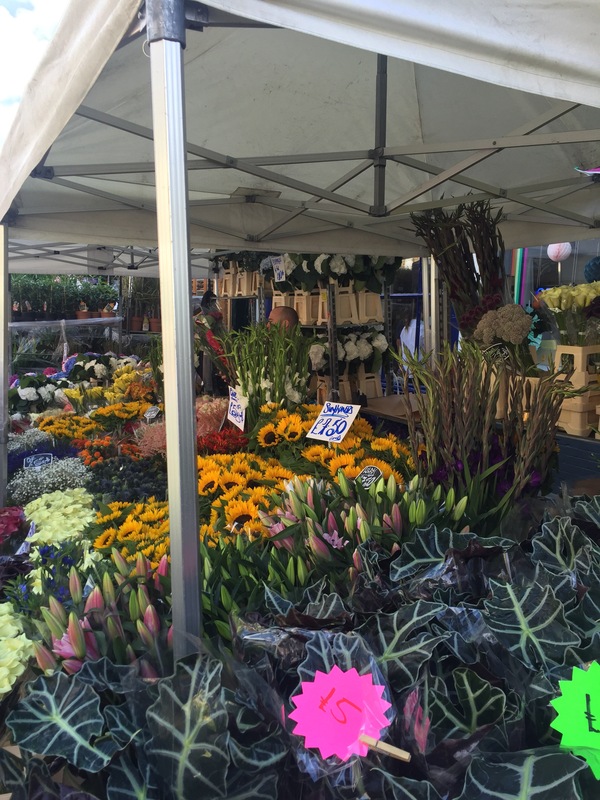 She’s mentioned this flower market before, and so when she asked me yesterday if I’d like to come along today, I jumped at the chance. 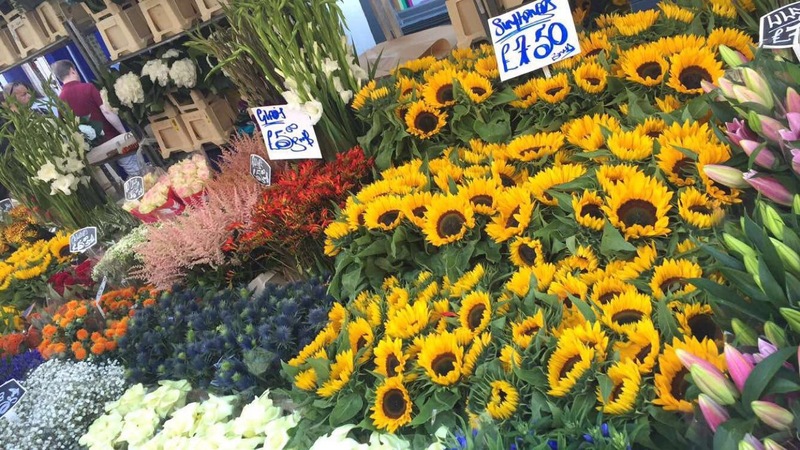 Situated on Columbia Road in East London, a stone’s throw from Shoreditch, Spitalfields and Brick Lane, the market lasts from 8-3, and it’s simply beautiful. 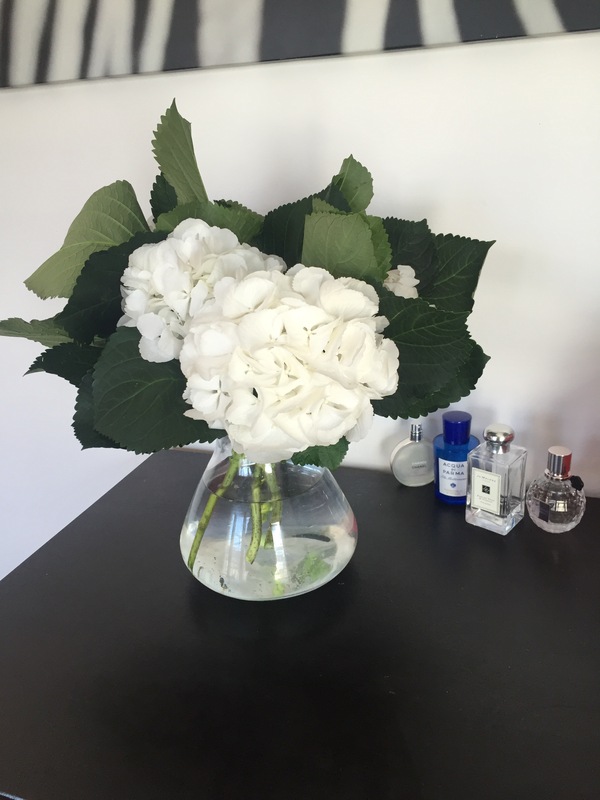 While white roses are still my all time favourite, I have such a soft spot for pillow-like hydrangeas like the ones seen above and below. 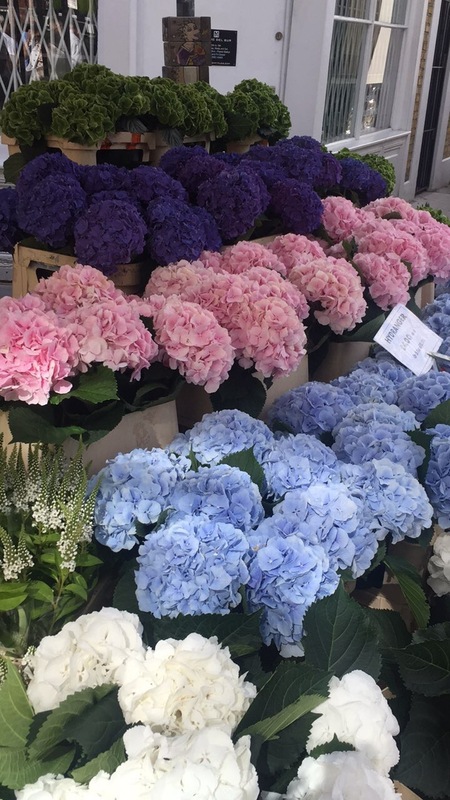 When I first moved to Germany my dad bought me beautiful blue Hydrangeas for my new flat, and I’ve loved them ever since then. 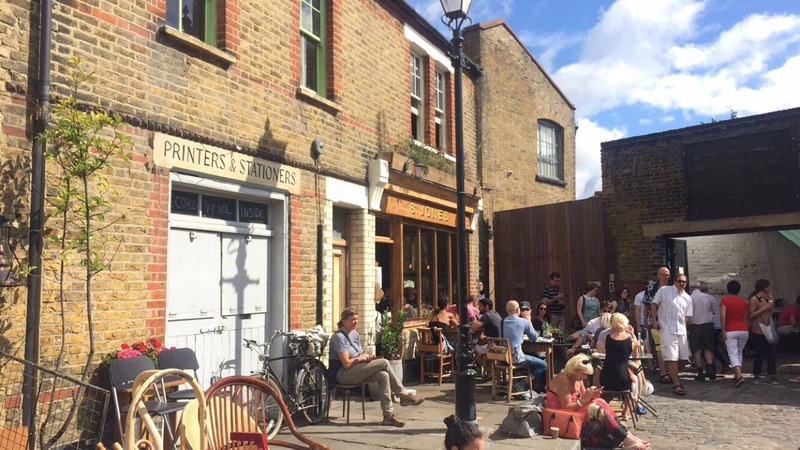 All that looking at plants and flowers can be exhausting, but fortunately there are many cafes and restaurants peppered on and around Columbia Road itself. 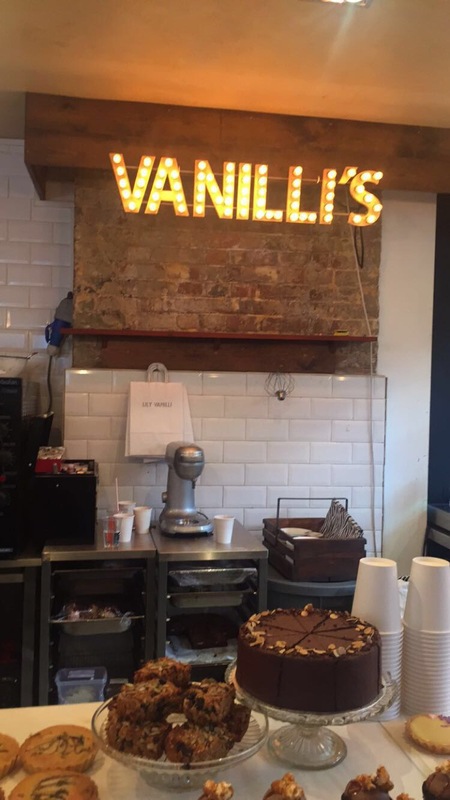 On this visit we went to Vanilli’s and settled in for their vegetarian delights. 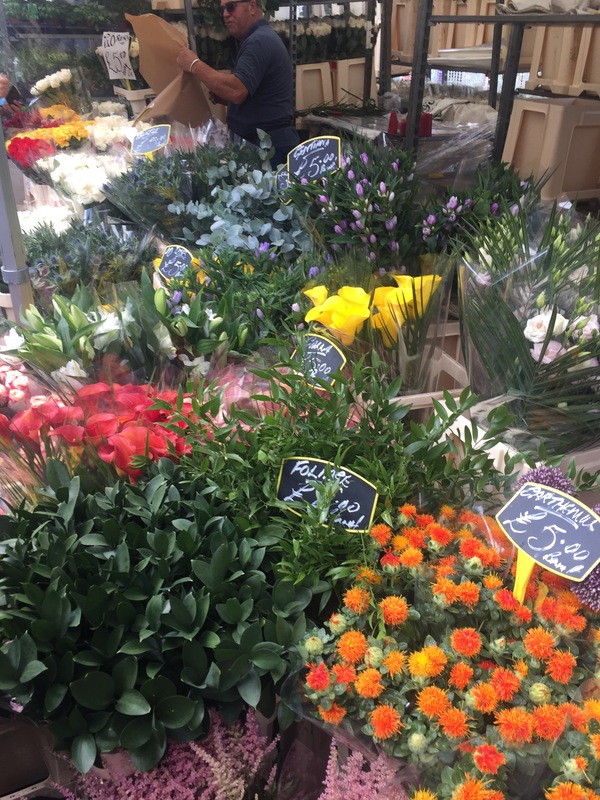 Anyway, back to the flowers! 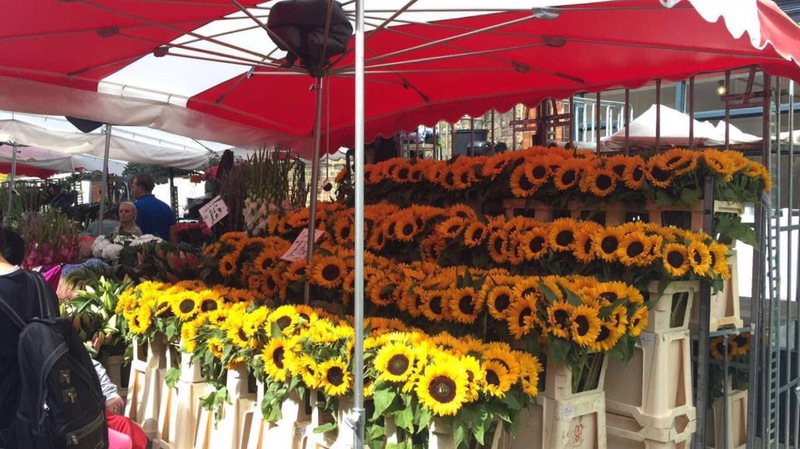 This market takes place every Sunday of the year, come rain or shine, and with rows upon rows of sunflowers like the ones below, I know I’ll be coming back here to browse and buy again soon. But what did I buy, I hear you ask? 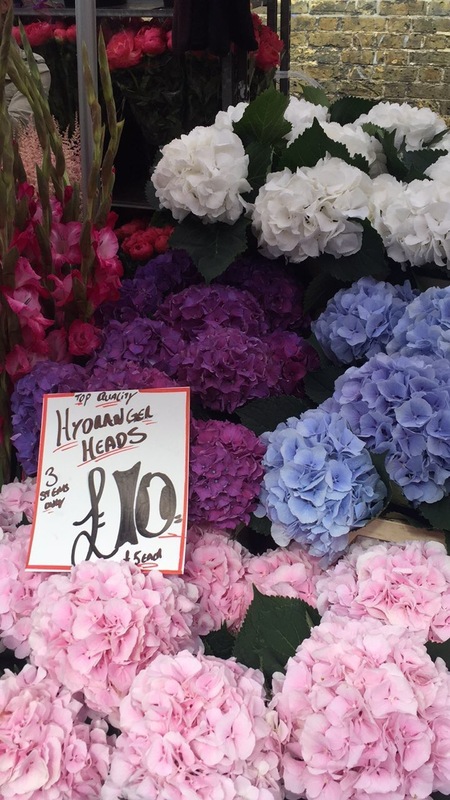 Well, it was a tough decision, but in the end I selected five white hydrangea heads for £10. This was the best deal I found (most were 3 for £10) and is a compromise on my love of white roses and blue hydrangeas. They did also have blue roses, so maybe I’ll plump for those next time! 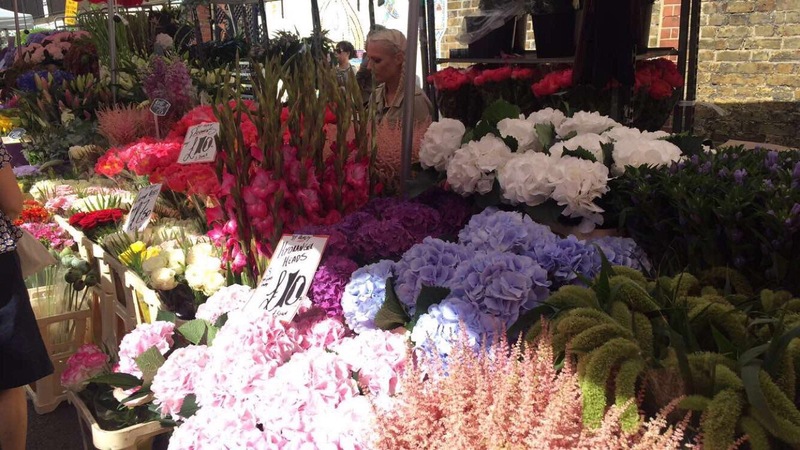 So, if you’re after a Sunday morning with a floral twist, or if you have guests keen to explore one of London’s unique areas, head to Columbia Road. Just don’t forget to take some cash out!